Scott Scovell Hamilton, born on 28th August 1958 in Bowling Green, Ohio USA, is a former figure skater, who won the US championship four years in a row between 1981 and 1984, also four World Championships, and a gold medal in the 1984 Winter Olympic Games. He is best recognized for his backflip move, which only a few skaters could accomplish. Scott`s career began in the mid-`70s, and he retired in the early 2000s. 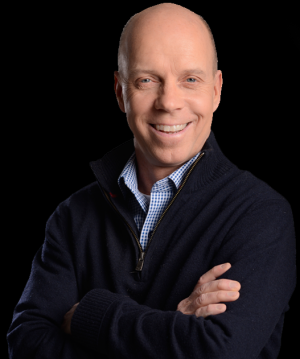 Have you ever wondered how rich Scott Hamilton is, as of late 2016? According to authoritative sources, it has been estimated that Scott`s net worth is over $30 million, earned largely through his successful career as a figure skater. Also, his net worth improved thanks to various appearances on television, including in such TV series and films as “On Edge” (2001), and “Blades of Glory” (2007), among others. Scott is the adopted son of Dorothy and Ernest S. Hamilton, who also had another adopted son, and a biological daughter named Susan. Scott`s growing up and childhood were quite troubled; when he was only two, he was told that he had cystic fibrosis, and was given six months to live. However, the diagnosis was wrong, and he continued to live normally until much later, when he started battling cancer. However, his troubles continued when he was diagnosed with Shwachman–Diamond syndrome, and grew to only 5 feet and 2.5 inches. Scott went to the Crim Elementary School, but then at the age of 13 he started training in ice skating with Pierre Brunet, but five years later was close to quitting, since the cost of lessons was way out of his parents` budget. Nevertheless, with the help of Helen and Frank McLoraine, Scott continued with training, and also enrolled at Bowling Green State University. In his amateur debut in 1980s, Scott reached No. 3 in the US Figure Skating Championships, which enabled him to join the U.S Olympic team; in his first Winter Olympics he was fifth. His breakout year was 1981, in which he dominated the U.S Championships, giving a flawless performance which only made the public fall in love with the talented sophomore. Scott continued to dominate on ice, and won every U.S Championships until 1984, crowning his amateur career with the gold medal at the 1984 Winter Olympic Games. After turning professional that same year, he became a part of the Ice Capades, touring the USA for two years before starting his own “Scotts Hamilton`s American Tour”, and later renamed it to “Stars on Ice”. Until 2001, he was the main figure in the tour, alongside Rosalynn Sumners, when he eventually retired. The success of his group increased his net worth by a large margin, as in addition to touring through the USA, they also made an impact across Europe. Apart from being a successful figure skater, Scott has also worked as commentator for CBS and NBC in the past, which further increased his net worth. Furthermore, he made several television appearances in such programs as “Roseanne”, “Wanna Bet?” and many others, which also added a substantial amount to his net worth. Regarding his personal life, Scott has been married to Tracie since 20002; the couple has two children. Scott`s height is 5 feet and 4 inches, apparently because of health issues when he was a child. However, his troubles didn`t stop there, and in 1997 he was diagnosed with testicular cancer, which after several surgical operations was eliminated. Then he was diagnosed with a brain tumor in 2004, and on two more occasions received the same news, despite several operations and therapies. Nevertheless, Scott doesn`t flinch, and continues his fight against the terrible disease. 1 I firmly believe that the only disability in life is a bad attitude. 5 Friend of Nancy Kerrigan. 6 Son, Maxx Hamilton, arrived at 7:51 a.m. on January 21, 2008. He weighed in at 7 lbs., 8 oz., and measured 20-inches long . 7 Was diagnosed with a tumor on his pituitary gland in mid-November 2004. The tumor is benign. 8 He and his younger brother Steve were adopted. 9 Scott and Tracie welcomed their first child, son Aidan McIntosh, on September 16, 2003. 10 Is the 1984 Olympic Gold Medalist in Men's Figure Skating. 14 1981-1984 U.S. National champ.